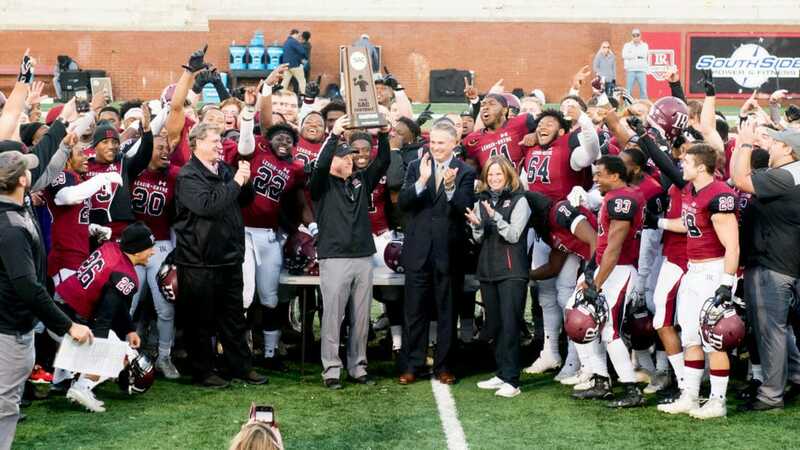 Lenoir-Rhyne University Football, following 4 consecutive losing seasons, was able to recapture that winning feeling this fall and then some. Under new Head Coach Drew Cronic and several members of his staff who brought their winning pedigree from helping transform Reinhardt University Football into an NAIA powerhouse, the Bears finished with an impressive 12-2 record overall and a perfect 7-0 in conference play. By capturing the SAC Championship and making it to the NCAA D2 Regional Final, LRU Football is serving notice that they will be a threat to capture the D2 National Championship for years to come. Off the field, their fundraising campaign through Campaign Sports brought in several thousands of dollars in additional revenue as their remarkable turnaround has been short & swift. With the money raised, they were able to offset the cost of new uniforms, travel suits, and updated field equipment. Campaign Sports would like to thank SAC Coach of the Year Drew Cronic and his entire program for the opportunity to assist LRU Football’s fundraising efforts during this landmark season. We look forward to working together once again in 2019 in their pursuit of a D2 National Championship!